Ice venom freezing the blood in your veins, turning your heart bitter and your soul selfish? Shards of ice erupting from your body, turning you into a chilling golem? That does NOT make for a very Merry Frostval! You'll need to find the Flame of Frostval if you're going to serve Dead Morice - an Elemental Ice Mage - the ULTIMATE burn while making sure you're friends aren't cold as corpses... forever! But where could such a Flame be burning if all of Lore is in the icy grasp of a coldhearted Mage? In the past, of course, as yet unkindled in the heart of a powerful child! 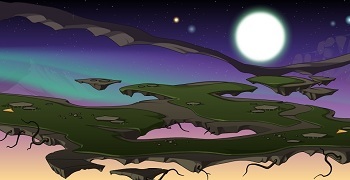 Journey with Blizzy into a time when ShadowFall still flew, Sepulchure still plotted, and Gravelyn was the EVILLEST Undead Princess of the ShadowScythe EVER! When SHE discovers what Frostval is, YOU will find the Flame you're looking for! But growing up Undead (what?! ), Gravelyn does not know much about warmth or joy, and she doesn't know ANYTHING about Frostval! What she DOES know is that she wants to help her Daddy, and YOU are going to assist her! Battle through an icy alpine forest aiding this imperiously Evil Princess until the time comes to introduce her to the magic of Frostval! Quibble Coinbiter - Awesomely Icy Edition! You'll get shivers down your spine when you see the excellent equips Quibble's stocking this time around! And this is just week one of his visit! 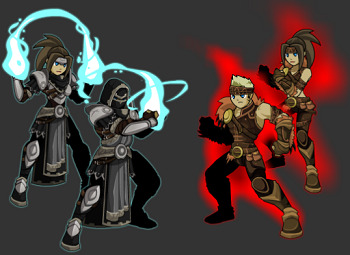 Next week, there will be even MORE rockin' Frostval rares! And MUCH more! If you don't see what you're looking for THIS week, check Quibble's backpack NEXT Friday! 200 Free ACs on Friday, 20+ more bag spaces to buy! That's right, EVERY account in AQWorlds just received 200 FREE ACs for their first Frostval gift! They're great to use if you need to buy more inventory space, or just get some sweet new equips. So if you're running out of room for your rares and gear, head on over to Valencia and level up your inventory space! If you're looking for an awesome (and EPIC) duel this Frostval, why not head over to Epic Duel's Frysteland War! They've been slowly introducing players to Delta V’s Frozen Northlands- Frysteland- and its inhabitants, the Krampus. Now, you’ll recall that the Krampus have a long tradition of Beast Riding, making them uniquely able to harness the power of the corrupted Yetis threatening Legion and Exile targets alike. If only you could get them on your side! 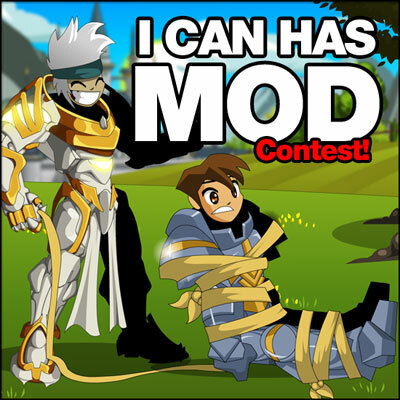 I Can Has Mod - Cysero's Turn! The new I CAN HAS MOD contest is now running and we will be picking a winner first thing next year on January 3rd! 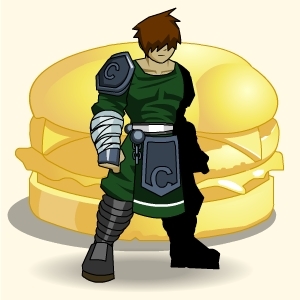 If you don't already have it, better go get your Cysero's Golden Cheezburger from Cleric Joy in Battleon! Don't forget that every month left on your Membership and every AEXtra that you complete gives you one more chance in the drawing! Good luck! Bloodtusk Chaos Battle for Free Players! Now open to ALL players, watch as Bloodtusk's Chaos Lord faces Drakath head on and tries to take him down! But Chaos IS Chaotic, so things do not go quite as planned. That's where YOU come in... you can't let a rogue Chaos Lord roam free, can you? Have a great weekend and we hope you enjoy part 1 of this year's Frostval release! We're all going to go home and wrap presents, cook up delicious food for the Lab's Frostval party, and enjoy time with friends and family. See you Monday! PS: The /samba emote should be visible to ALL players when you use it now. Get your Dance On! Lore has no fury like a Prophetess Chaorrupted! 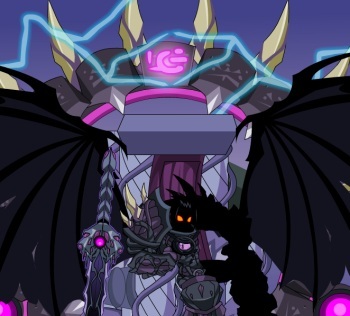 Members can watch as Bloodtusk's Chaos Lord faces Drakath head on and tries to take him down! * But Chaos IS Chaotic, so things do not go quite as planned. That's where YOU come in... you can't let a rogue Chaos Lord roam free, can you? A Chaos confrontation awaits you in the /dreamnexus! Epically Chaotic rewards await you! All rewards drop either from monsters in the map or from the Chaos Lord! It has been a long road through the Ravine; you've watched the Trolls and Horcs ripped apart by distrust, torn apart by war, occupied by an Alliance army and forced to face the fact that one of their own was behind ALL of it! In a story full of twists, turns, death and betrayal, Chaos still keeps you guessing in this last installment of the Bloodtusk Ravine Saga! TIP: Do NOT underestimate how angry Khasaanda is. * Chaos Lord battle unlocks for Free Players NEXT Friday! Are you ready to dance the night away? If YOU want to be able to /samba in-game, then you'd better head over to Samba's disco in Bloodtusk Ravine and get ready to get your fingers movin' to the groove. It's the ONLY way to unlock the member-only /samba emote! 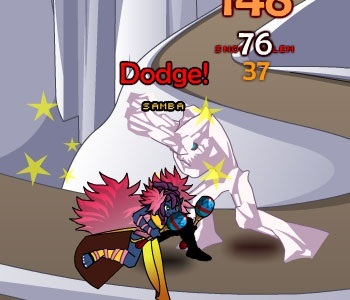 You can read Samba's Design Notes about the minigame here! 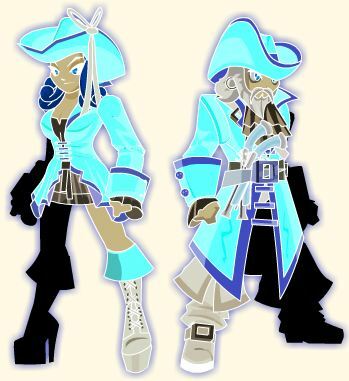 It's amazing how many of you displayed incredible Frostval Spirit cheering us on or saying you'd understand if we couldn't get the Frostval release out. For all of YOU, we bring the release of Frostvals Past. We'd give everyone else coal, but we're too full of cheer at getting the release out! So, Frostval release present for EVERYONE! And speaking of PRESENTS: New member-only presents have been stored in the sack behind Cleric Joy in Battleon! Get your gifts now, but remember, they won't open until January 1st! We've got a TON of super-snowy fun waiting for you when you /join frostvale! 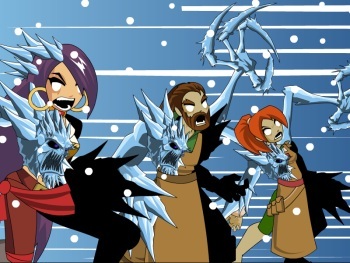 So if you haven't joined us for Frostval before, get ready to save the Spirit of Frostval, defeat the frigid twin perils of Ice and Snow Golems, and help your friends celebrate! NEW Frostval content will be released NEXT Friday! You're going to be up against a chillingly cold-hearted villain this year, vile and dripping with icy venom, so bring your warmest ear-flap hat (Wikipedia tells me it's called an "ushanka"), bundle up and get ready to battle on! I Can Has Mod: Cysero! You cannot win Cysero himself, but you CAN win 2 hours with him in-game AND a super-awesome wish! If you haven't heard about this crazy contest before, then you'll want to make sure to read Cysero's deliciously golden, cheezburger-laden Design Notes post! The Chaos Lord's fate is in your hands! Revenge, loss, and defiance. All have a long history in Bloodtusk Ravine, and this Friday is no different! The NEW Chaos Lord is demanding a meeting with Drakath, and they're NOT planning to discuss which shade of purple is most flattering. Members will be able to battle the Chaos Lord THIS Friday! The Chaos Lord battle will be open to ALL players NEXT Friday! Journey to a place between Here and Everywhere, found inside your mind but outside Time - where nightmares walk, dreams go to die, and that Bloodtusk Ravine's Chaos Lord knows they can control! A realm fading in and out of existence, where Chaos will confront Chaos head on... and the outcome is up to you! Members: Meet Molgulp the Mudluk! This Wednesday (oh, hey, that's TOMORROW! ), Members will get an all new mini-storyline! You'll want to speak to Molgulp to learn the ancient secrets of Mudluk weapons-crafting! In the process, you'll gain access to a whole shop's worth of swanky swamp swag to equip and enhance! When You Wish Upon A MOD! Do Undead Legends sing the Blues? This Friday we'll re-release all of the past years of Frostval events! 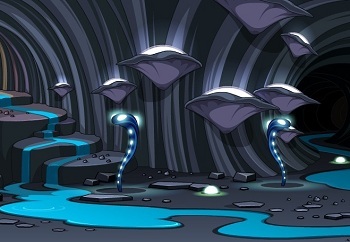 Re-visit the FrostMoglins in Frostvale, spread cheer and fight your fear of King Coal's cold as you battle ice monsters, save the Spirit of Frostval, and generally join in the joyous Frostval fun! 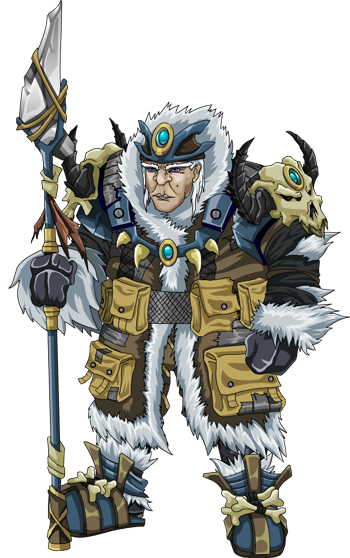 NEXT week we will begin the NEW Frostval releases! When all of Frostval is under seige by an Ice Elemental who revels in selfishness and aggresssion, you'll need to save all of Lore from becoming as cold-hearted (literally, hearts are turning to ICE) as he is! What I'm sayin' is... he's not a very n-ICE guy! Heh. * The dark side of the Alliance isn't that nice either, but you're going to need the help of the most Evil person you know if you're going to save Frostval... and Lore! * Rolith just hurled an orange at me as pun-ishment. He needs to put points in Pun Tolerance. Have a great night, everyone! See you for the release tomorrow! Can YOU face down the Gruaige Baas? Stare into the eyes of a Medusa-beast straight out of legend and larger than any creature Bloodtusk has seen before! Save the Alliance Generals, take on the Chaos Beast and prepare yourself for the ending NO ONE expected! * With a Chaos Lord this furious, ask yourself: What will this mean for Bloodtusk, for Lore... and for Drakath? * Really! We've been reading your predictions since the first Bloodtusk release to see who'd guess. ** Chaos Lord battle coming next week! Horcs and Trolls have very defined battle techniques,and as a show of gratitude for ALL the help you've given them against the threat of Chaos, they are teaching you their war lore! From the Trolls, learn the mystical battleskills of a SpellSmith! And from the Horcs, capitalize on the aid of a battle pet and epic evasion skills! Use this evasion and dodge heavy rogue-type class with your BATTLE PET to show your foes that Horc Warriors aren't just brutes - they're quick on their feet and can kill you before you blink! Smell their fear, smell their blood, and use your pet to take down ANY opponent! As a SpellSmith, you'll have a wide range of options open to you in battle! Feel like attacking with an AOE and take down multiple enemies at once? DO IT! Want to do a decent amount of damage to single enemies? You can do THAT too! Solo bosses AND self-heal AND buff your friends! So MANY CHOICES! See Cysero's Bloodtusk Class Skills writeup for many more details! 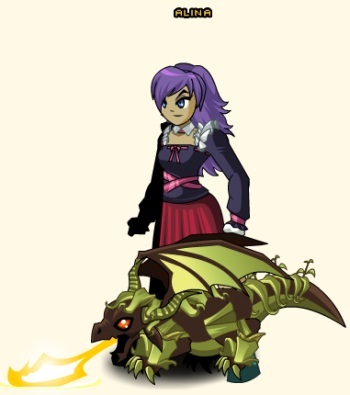 You can get your very own Evader and SpellSmith classes by gaining Rank 10 in Horc or Troll Rep respectively OR talking to Itzachi in Battleon and buying them for 2,000 ACs! Changes in the Bloodtusk Ravine Map! We've made some changes in the Bloodtusk Ravine hub town map! As you play through the storyfrom here on out, the NPCs in the town will change according to what is happening to them in the releases! (So when the Chaos Lord is discovered, they will disappear from their spot in the town, etc.) This gives the area a more dynamic feel, making the zone seem more fully a part of the action! Khasaanda has also gotten some new quests that you will be able to do in this week's map OR from the very start of the storyline. They'll give some background information on important things like the Arashtite Ore.
Update to the Treasure Chests! When things get heated in battle, make sure you have the Heavy Blader armor equipped to keep your HP high! This is the newest addition to the Treasure Chest loot pool! With Treasure Chest rewards dropping from every monster in the game, you're sure to get enough oppotunities to with this armor or any of your other favorites! And remember, members get TWO FREE Keys at the start of each month! 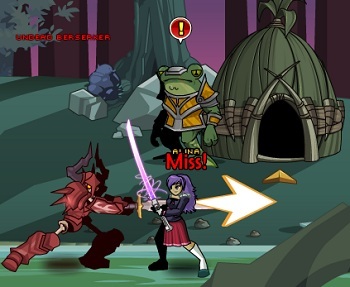 If you've run out of Keys, you can always buy more by talking to Twilly in BattleOn! The Chests will always contain some of our most epic gear, so make sure you treasure those Chest drops when you get 'em! 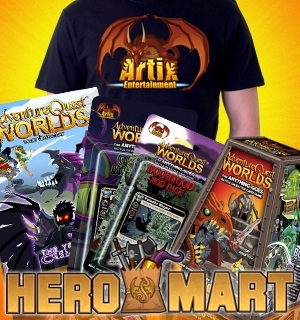 HeroMart: Get your Gift On! 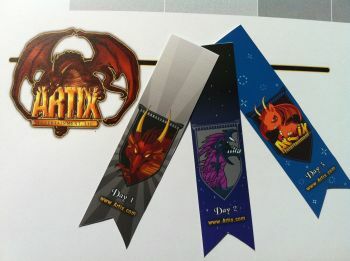 The shop is still stocked with crazycool real life rares for the holidays at HeroMart! 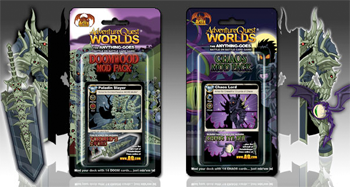 If you haven't gotten a 2012 AQWorlds Calendar, the Doomwood or Chaos Mod Packs, the Artix Logo shirt, or our other awesome swag yet, now's the perfect time! And all our swag makes GREAT gifts for friends and family! 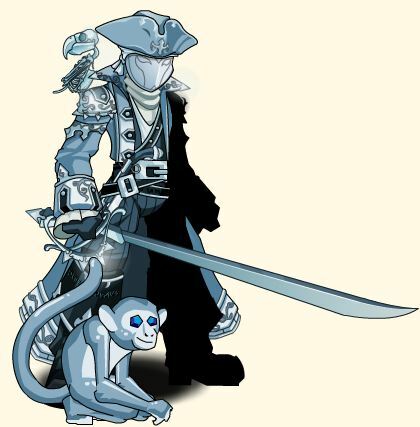 Release of past Frostval content! Have a great weekend guys, and enjoy the release! Trolls and Spitfire and WHOOOPS! 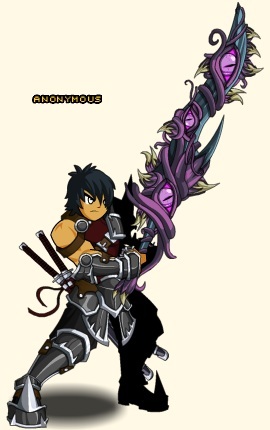 Thank you and congratulations to everyone who is getting the 3rd Upholder badge and starsword today! Actually, you should have already received it, except Zhoom accidently wrote his database update query backwards. So instead of giving 100,000 players 1 Starsword, he accidentaly gave.... 1 player (Leon25) 100,000 Starswords. Now that is one heavy and full backpack! 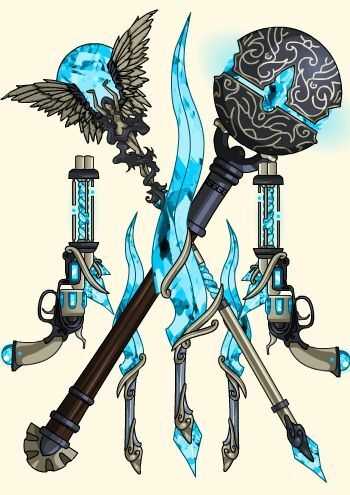 All 3rd upholders should have their perks after tonight's release! The main storyline continues... and things are about to get crazy. 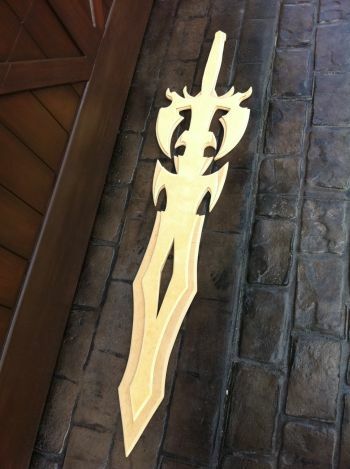 While Cysero and Alina have strictly forbid me from giving away what is about to happen next, I am allowed to tell you there will be hint at the worlds new Chaos Lord tonight. Also, the Treasure Chest is getting an update with new items by Dage. Thank you so much for the great reviews and comments on the new cards! Faith has shipping lots of boxes to players all over the world (literally) from HeroMart (now located in a HUGE room here at Secrret Underground Lab #4) A lot of you told us that your local Toys"R"Us did not have them in stock yet... even though they were supposed to as of last Friday. If you U.S. based Toys"R"Us store does not have them out yet, please ask a manager to check to see if they got them but have not put them on the floor yet (this is what we keep finding.) Also if you see the packs or the full card game box hidden in the back of a rack *whispers* it would be super awesome of you to move them to the front. (I always do that at book stores for "Z is for Zombies" which is done by Johnny Atomic, the same guy that helped us make the MechQuest Artbook"
Everyone did an incredible job this year. The Pumpkin Carving Contest has been judged! Read Samba's post below to see this years' winning pumpkins. As you know AQworlds is a game for players of all ages. Happy Birthday to AQWorlds player who turned 13 today... and sent me a Tweet on Twitter saying that even though he was 13 he still could not use chat. (Age 13 is our cut-off for chat date) Turns out we were checking the data with a ">" greater than instead of a ">=" greater than or equal to. Zhoom just fixed it... so for all of the players celebrating their 13th birthday today or soon, CHAT ON! 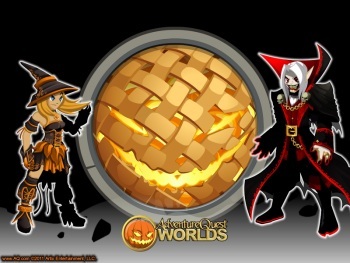 This weekend is your LAST chance to get the rare and seasonal rare items from the special event shops. By player request we are extending the TMBG item shop until Monday. Be sure to get the ones you once because once they are gone... there is NO WAY to get them again! 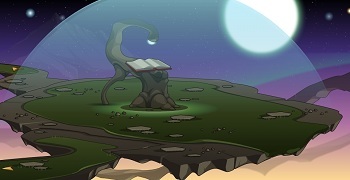 We have no idea what the ominious giant portal is... or what will happen on 11-11-11. Will it open? Will we go into it? Will something... come out of it? There are no legends about this. In fact, nothing like this has ever been seen before in the history of our world. It is a complete mystery. All that we do know, is that 11-11-11 is NEXT FRIDAY! Lots of things going on... what are you the most excited about? Let us know on the Forums, FaceBook or Twitter!